In a very short tweet, German TV channel Deutsche-Welle (DW) announced that it was holding talks Sunday afternoon with Egyptian TV host and satirist Bassem Youssef to host his TV show on its Arabic language channel. "DW-cooperation-talks with Egyptian TV-Star @BassemYoussef. But Egyptian reports concerning $300,000 per broadcast is way off base" said the German channel on its official Twitter account (@DeutscheWelle), addressing rumours about the possible cost of hosting the popular show on DW. This is considered the first official announcement from a TV channel regarding talks with the popular satirist whose successful TV show Al-Bernameg (The Programme) was suspended by the Egypt-based independent satellite channel CBC after just one episode of its third season. News reports spoke earlier of talks between Youssef and Saudi-owned MBC Misr TV channel, but neither party confirmed the reports. Bassem Youssef's third season premiere episode on CBC, which came after an almost three-month hiatus, stirred controversy when the popular satirist poked fun at supporters of army chief Abdel-Fattah El-Sisi, whose popularity soared following the ouster of Mohamed Morsi 3 July. The weekly show was suspended 1 November, minutes before the second episode was due to air on CBC. The channel claimed that Youssef and his producer had "violated what had been agreed upon" with the channel, as well as CBC's "editorial policies." Following the incident, Al-Bernameg staff immediately issued a statement denying that they had violated their contract. The statement added that Youssef had not been notified of the ban in advance, learning his show was suspended at the same time as its viewers. Last week Al-Bernameg's production company, QSoft, announced that it terminated the TV show's contract with CBC, declaring that it would take legal action against the channel, seeking compensation for "intellectual and financial harm" following the show's suspension without warning after one episode. Meanwhile, the general prosecution in Egypt has begun investigating nearly 30 complaints against Youssef, accusing him of insulting the Egyptian Armed Forces and General El-Sisi on his show. Egyptians are famous for their wit and love for laughter and of making jokes, even about themselves. Dr. Bassem is showing all the drawbacks in the egyptian society in all aspects through his satirical Program " El Bernameg ". He just does like a charicature artist, who would exaggerate drawing a facial feature to a certain person, not with the intention of reduculing the person, but a way of expression. Dr. Bassem never meant in any way to reducle anyone, let alone a loved figure like Sisi, but made fun of how people see and speack about him, which is true. It is a different sense of humor, which, even some intellectual egyptians, do not understand and appreciate. No one is spared by Dr. Bassem, even himself, from his satirical criticism. Perhaps if the sexual insinuations, were a little less, people wouldn't criticise him that much. I heard that CBC channel did not like him to criticize it, but if that is true, then they are very wrong because if they accepted him to criticize others, then they aren't exemted. Dr Bassem is a highly intellectual person, witty with a vision, comes from a good family, had the best education anyone would dream of having, he loves his country and people, polite and most of all, wishes to rise and having a better vision of whats happening to find a solution for Egypt out of its every day nightmare. A better Egypt for all egyptians. With many good thinking minds with many points of view. Nobody can impose ideas on others, but free thinking and freedom of speech, are essential for a country to flourish and grow.through satire, makes it easier to bare the hard truth. Then DW will be shut! no freedom of speech in Egypt or the middle east! 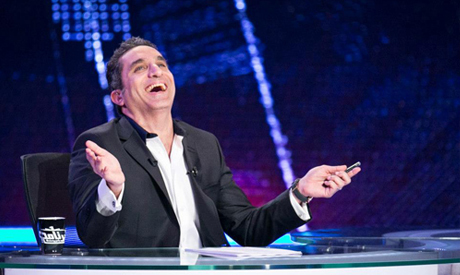 Bassem won't be able to smoothly broadcast. In reply to the comment "What about freedom of speech"
What if the channel is just trying to give a freedom of speech and not intending to make any political action? Because this would harm the relationship with Egypt and Germany in general is not trying to harm any relationships, they are not brave enough due to the history....But some kind of Freedom of Speech would not be bad for Egypt since now again (as before) everybody saying something against the army is being prosecuted...well this is also not the right way, don´t you think? Bassem had to use foreign channels for telecasting his program, until this fascist military regime is there in Egypt there is not going to be any freedom for normal people, its only elite who are going to rule. The Muslim brotherhood is not normal people.